Theel will provide you with responsive quality services each and every time you need us! 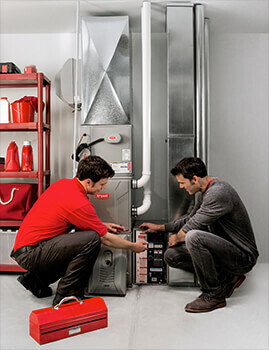 We are a professional, full-service HVAC company serving residents of Kansas. Need the best air conditioner repair in town? Call Theel Plumbing Heating & Cooling today! Welcome to the Theel Plumbing Heating & Cooling Inc. Website! We are a full service heating and cooling company serving the needs of both residential and commercial customers in the area. 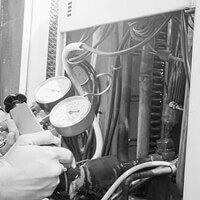 Whether you are in need of quick repair services or are considering having a new heating or air conditioning system installed, we have the staff and experience to tackle the job head-on. From the moment you call our office to speak with one of our customer service representatives, you will see why we have earned such a favorable reputation over the years. Our friendly and knowledgeable service technicians are respectful, courteous, and have had the necessary training to get the job done right on the first try. We are dedicated to serving our customers with the best in customer service and truly affordable prices. That’s why we offer a variety of specials and system rebates throughout the year to reward our customers. Ask about our current specials, deals, and incentives when you call to request service! 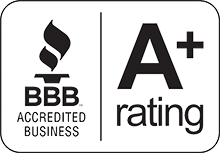 In addition, we are fully licensed, bonded, and insured, and are proud to be a Better Business Bureau (BBB) Accredited Business. Give us a call today to schedule service with the Theel Plumbing Heating & Cooling, Inc. experts and we will do everything in our power to make you another of our happy customers!